I have a confession to make. My front door…currently has no wreath on it! 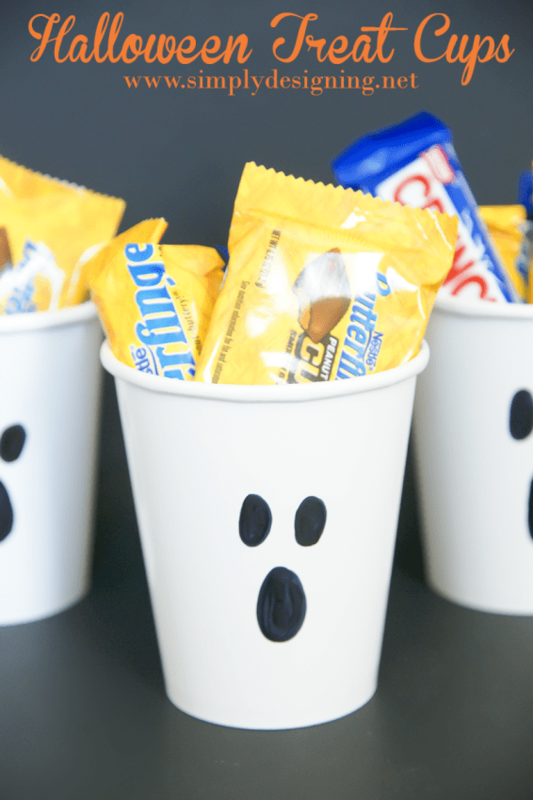 (gasp!) I know I know…I am picky about my wreaths, and I don’t have a ton of room to store them, so I don’t often make them! I have a few wreaths that I simply adore such as my Simple Felt Wreath and my Yarn and Berries Wreath, and I even have a Christmas Hydrangea Wreath already waiting to be posted on my blog! So I decided to whip up a cute wreath for my front door that would last me through Halloween and Thanksgiving! 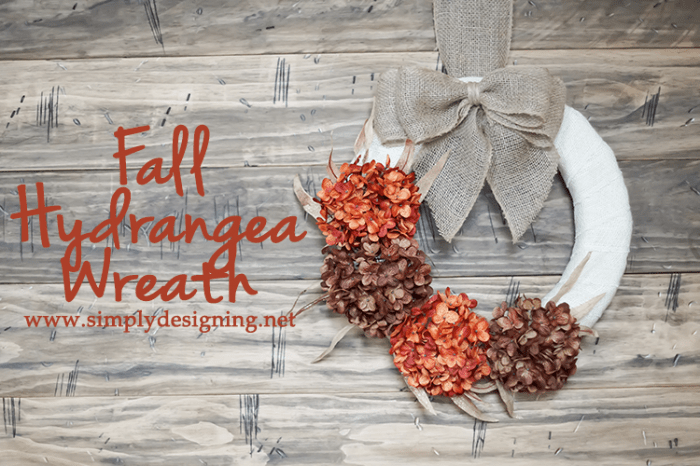 This is the perfect Fall Hydrangea Wreath! I was so inspired when I saw Kimberly’s Hydrangea Wreath over at A Night Owl blog, it is just beautiful and it made me fall in love with hydrangea’s all over again. I am not usually a huge fan of fake flowers, but this made my heart swoon. 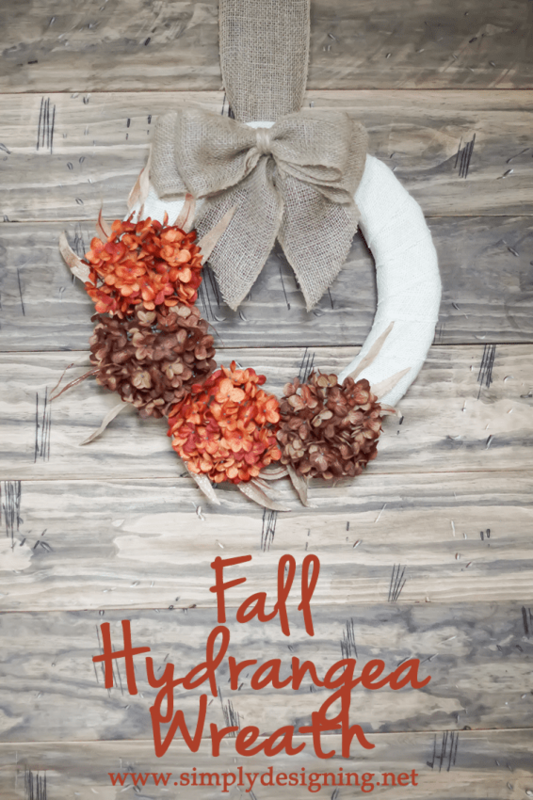 And since I already had a wreath form and a few rolls of burlap ribbon on hand, I decided to do my own take on a Fall Hydrangea Wreath that is still super simple to make and really beautiful! First you will secure the end of your cream burlap ribbon to your wreath form using a low temp hot glue gun, and then wrap the burlap ribbon around the wreath form until it is fully covered. 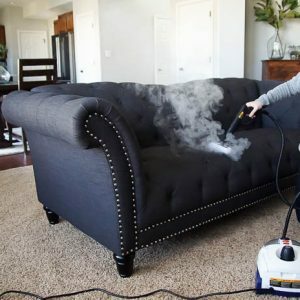 Secure the end in place with hot glue. 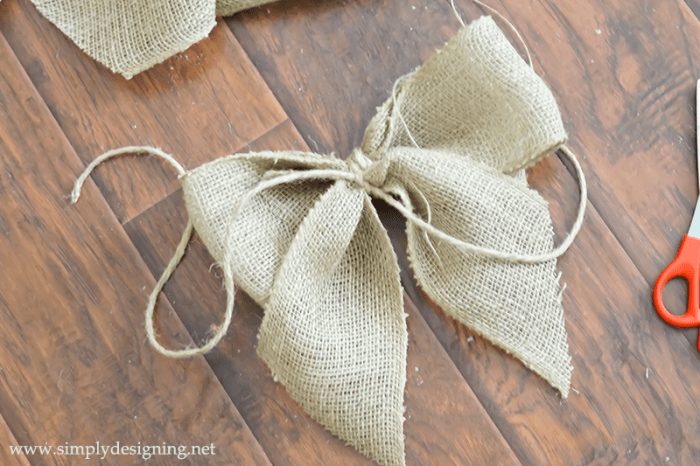 Create a bow using the tan burlap ribbon. I created a double bow by simple laying my ribbon down and folding it back and forth over each other until I had enough ribbon for a double bow. Then I secured it in place with jute. 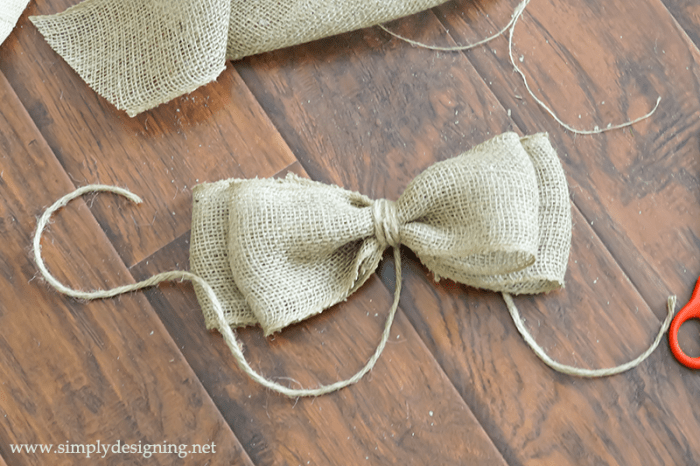 Next I cut another piece of tan burlap and tied it onto the back of my bow to create ribbons hanging down. And then I hot glued the bow in place on my wreath! Then I glued my foliage in place. And finally, I hot glued my hydrangea in place! I love love love how my new Fall Hydrangea Wreath turned out! 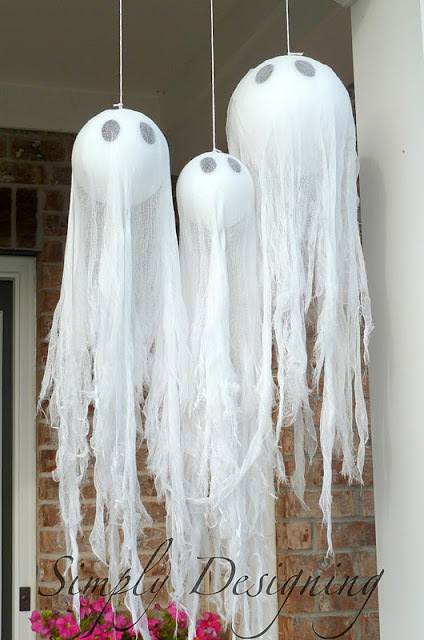 I think it is so fun and so festive and I am excited to finally have something to hang on my door this fall! Thanks so much! 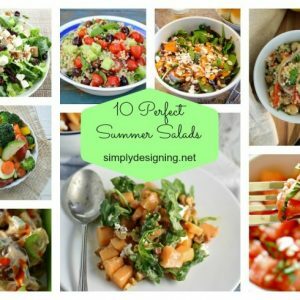 You can definitely make this!! And thanks for following me! 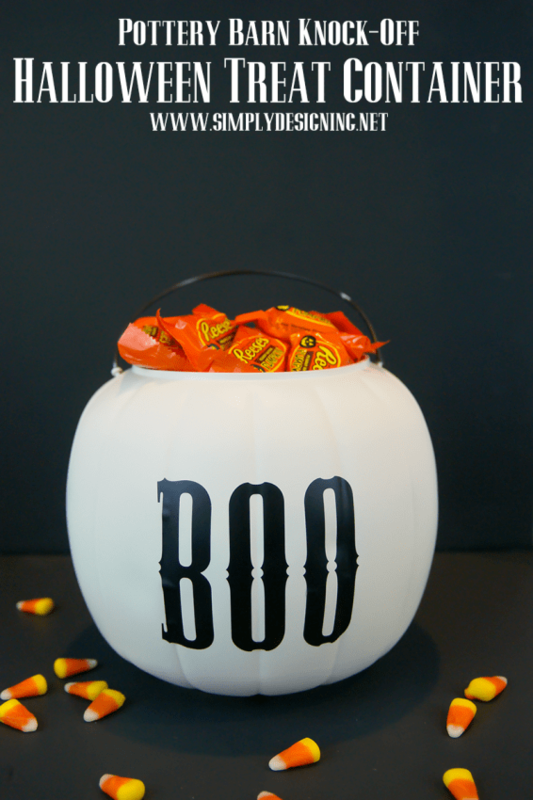 Love this wreath and great tutorial! Thanks for sharing! This is gorgeous Ashley! I love the neutral tones. Ashley, this wreath is gorgeous! Popping over from Cupcakes and Crinoline -pinning! Have a happy week! I love, love, love how it turned out too!! Hydrangeas are just so pretty. Thanks for sharing with us at Dream. Create. Inspire. Link!